Did you know that orange juice causes about as much dental erosion as soda, on a per-cup basis? Luckily, dose matters, and people are more likely to drink multiple cans of soda each and every day than multiple glasses of orange juice. But that brings up an interesting question: ascorbic acid (aka vitamin C) is at fault for orange juice’s erosive effect. So what happens when you drink a powdered vitamin C supplement, which can contain up to 10 times more vitamin C than orange juice? Let’s go through the existing research, in order to better understand the potential risk. In 2012, a meta-analysis found that chewing vitamin C tablets (in the form of ascorbic acid) significantly increased dental erosion. Chewable tablets, gummies, and liquids all contact the teeth, so a similar line of reasoning applies for each. Gummies and tablets may stick to teeth more, and powdered drinks less, but powdered drinks often contain more vitamin C. Swallowed pills, however, are in the clear. So what exactly happens to the tooth enamel? Oral bacteria are the most common culprit for stripping away tooth enamel, stealing some of the sugar you eat and producing enamel-eroding acid from it. But acid in the mouth can also come from non-bacterial sources, such as from chronic vomiting or directly from things you eat and drink. The usual suspects are soft drinks and acidic foods and beverages, while milk and yogurt can help protect enamel. More specifically, enamel can dissolve at pH levels under 5.5, and chewable vitamin C tablets have a pH of around 2.3. Now that isn’t quite as scary as it sounds, since saliva can protect you by buffering some acid. But this only works to a degree, and continual exposure will lead to enamel loss. One study showed that salivary pH can drop quite a bit with vitamin C tablets, allowing enamel erosion to proceed, and a typical dose of 500 mg will lower the pH for up to 25 minutes. 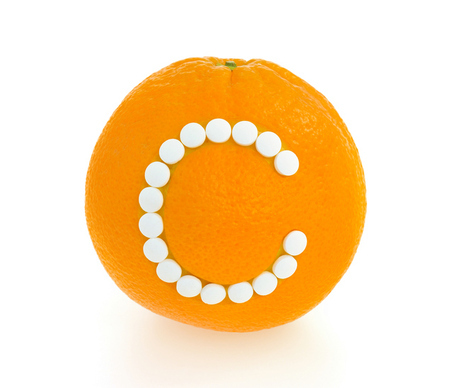 Vitamin C supplements that contact your teeth (chewable tablets, gummies, liquids) can impact enamel to varying degrees. Exposure time and frequency of dosing are important factors. Watching might not actually help! You might not notice dental erosion at all, since the process can be slow, and tooth sensitivity won’t show up as long as the dentin under the enamel isn’t very affected. That means going to a dentist regularly is quite important. As far as preventive measures, it depends on how safe and/or obsessive you want to be. If you frequently drink those popular effervescent vitamin C packets aimed at reducing colds (oh, the lengths we’ll go to at Examine.com to avoid brand names …), drinking them through a straw will help avoid prolonged contact with our teeth. And whether you use vitamin C powder, tablets, or gummies, brushing within an hour of taking them substantially raises your risk for dental erosion. Using Occam’s razor, another method would be to simply not use these products. Plain old ascorbic acid is much cheaper (albeit not as colorful and artificially tasty), and sporadically taking vitamin C isn’t shown to help prevent colds. A third method is to avoid prolonged exposure. There isn’t much data out there, but six weeks of chewing a lot of vitamin C didn’t impact oral health in one trial, while a case study of three YEARS of nearly continuous vitamin C chewing and sucking led to massive dental erosion. Another case study also showed that three years of chewable vitamin C (but limited to three tablets a day) caused severe dental erosion. Obviously, there’s a wide range in between six weeks and three years that has not been studied. Plus other other vitamin C forms haven’t been studied much, although vitamin C chewing gum actually helped reduce gingival calculus (which is basically hardened plaque, with plaque being the home of bacteria). A final option would be to take a non-ascorbic-acid form of vitamin C, such as liposomal C or a mineral ascorbate. These are more expensive than ascorbic acid though. Considering the large number of people who take vitamin C supplements, there’s surprisingly little research on vitamin C and dental erosion. While no effect was seen after six weeks of vitamin C tablet chewing in a very small trial, years of chewing has been associated with very severe enamel loss. Unfortunately, nobody knows how long you’d have to supplement to cause damage, and this could also vary depending on other oral health factors. Luckily, vitamin C can be easily obtained in forms that aren’t powdered, chewable, or gummy. Just go to the grocery store and look for an amazing non-proprietary food product called: Fruits and Vegetables™, which also taste better than supplements. If you want to supplement for certain health goals, consider a method that doesn’t give your teeth prolonged exposure to ascorbic acid. For example: swallowed pills, liposomal C, or mineral ascorbates. If you drink powdered vitamin C or use chewables or gummies, consider swishing water around afterwards to reduce the enamel impact. Please, for the love of all that’s evidence-based, don’t routinely brush your teeth after taking vitamin C chewables, gummies, or liquids. This same line of reasoning applies to brushing after drinking your morning orange juice.